Arrive at the Race Site Early. Give yourself plenty of time; to park your car, pin your bib number on, place your timing chip, review the race route, warm-up/stretch and visit the bathroom (which almost always has a line) etc. I would suggest arriving at least 45 minutes before the start. If you need to register or pick up your packet then plan extra time. Nothing is worse than anxiously rushing to the starting line or missing the start of a race. Register & Pick-up Your Packet Early. Most race event companies have an option to register on-line or in-person early as well as offer packet pick-up a day or two before the event. This helps to alleviate race day lines. Many running races offer a race-day registration but this is rare for triathlon events. The majority of triathlon events require pre-registration since the set-up is more complicated and there are limits on race participant numbers. If possible it’s best to register early as this ensures you get a spot in the race; some races sell out. 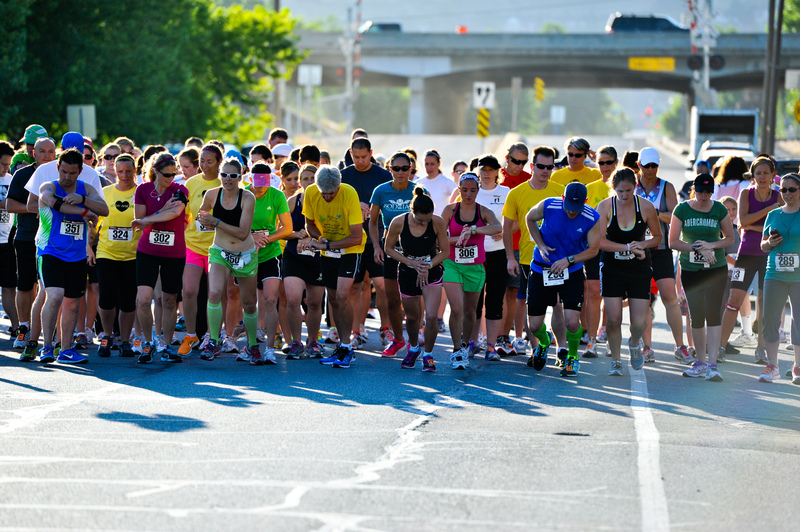 Although pre-registration is highly recommended, you can often register on race day for running events. Be sure to give yourself extra time to fill out a registration form, pay and stand in line to get your packet and timing chip. The packet should include a race number (bib) with safety pins. It will also usually contain a race shirt, coupons, product sponsor samples and various flyers etc. If you are unable to compete in an event you signed up for and would like to give or sell your registration to someone else, many event companies allow this for a small fee. It may seem inconvenient but to ensure accurate results it’s best to communicate with the event company and get the new name, age, and gender assigned. I have participated in a race in which a man ran with a girls bib number and won that division which made all the race results inaccurate. The timing company and many racers were upset and it was difficult to fix; so please submit changes before participating in the event. Warm Up, Stretch & Wear Proper Shoes. As an athlete I like to warm up about 20-30 minutes before the start of the race. I usually take 5-10 minutes and go on a light jog to warm up the muscles and include some dynamic stretching. It is also important to wear good socks and athletic shoes. I’m always surprised at how many people forget their running shoes. Don’t make this mistake or you could get unwelcomed blisters. Be sure to retrieve your bib number & safety pins from your packet to pin on to the FRONT of your shirt or shorts before the race and don’t forget your timing chip. Many race timing companies have the timing device attached to the bib number (disposable); other events require you to strap something on your shoe, wrist or ankle that must be returned at the end of the event. Make sure you have the device on before you start or you may not be timed and will consequentially forfeit race results and prizes. Dress In Layers & Shed Extra Clothes. Most experienced runners know it is wise to dress in layers. Plan to dress for 10 degrees cooler as you will produce heat while racing. You don’t want to get too warm and end up carrying or discarding your clothes. Some races will issue penalties for this so it’s best to wear only what you need. I suggest shedding unwanted layers a few minutes before you go to the starting line and have a friend or family member hold them for you. You can always replace the layers at the finish. To make the event competition fair, no outside aid is allowed during the race. This can include running along-side a loved one or handing them extra nourishment; a water bottle, watch, towel or other aides. This is simply not allowed unless it is done by another participant, race official or volunteer at an aide station. In the spirit of fair competition all athletes need to complete the event on their own merit with no assistance. However cheering, holding signs and taking pictures is always fair play and appreciated by participants. Line Up Properly & Be Aware of Your Surroundings. In the last few minutes before the race, you will want to line up at the starting line and take your place based on how fast you run. The fastest runners should line up closest to the starting line and slower runners, children and walkers behind. It can be frustrating and dangerous for runners to weave around children, and slower runners. This also increases the chance of someone tripping. One fallen runner can create a domino effect resulting in a heap of skinned-up, frustrated athletes. Be aware of your surroundings and be careful not to cut others off around corners. Before slowing to drink or eat at an aide station glance over your shoulder to be sure you are not slowing down or stopping right in front of another athlete. Note: In a running race it is okay to discard your water cup on the ground. Be sure not to hit your neighbor or throw your cup on the running path. Smile and Cheer for Others. Remember – the most important thing about racing is doing YOUR best and having fun. Smile and enjoy yourself. When you have finished, stay and cheer for others. Stick around for the festivities, meet people and make some new friends. The racing community is great! Volunteers make races possible and without them there would be no race so be sure and show your appreciation with a smile, friendly wave or polite thank you. You might even consider giving back to the racing community and volunteering for a race or two each year yourself. 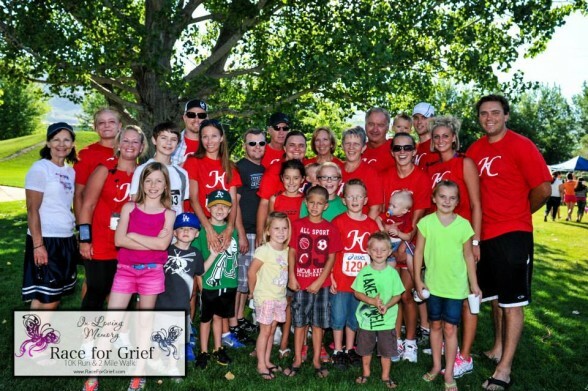 You can count on seeing me and my family volunteering at races throughout the year.